Just say no to plain boring mimosas! 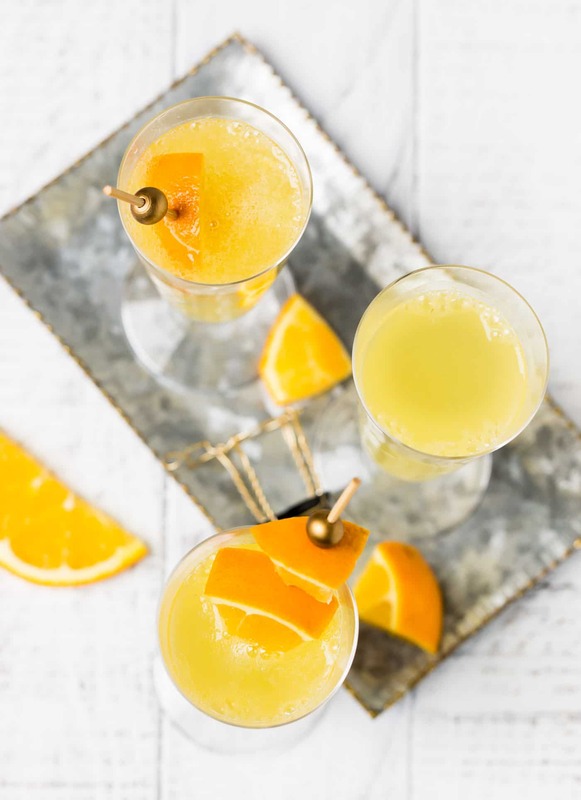 We created this Grand Orange Mimosa recipe with freshly squeezed orange juice and Grand Marnier to transform an ordinary mimosa into an outstanding one. A traditional mimosa can be kind of boring. 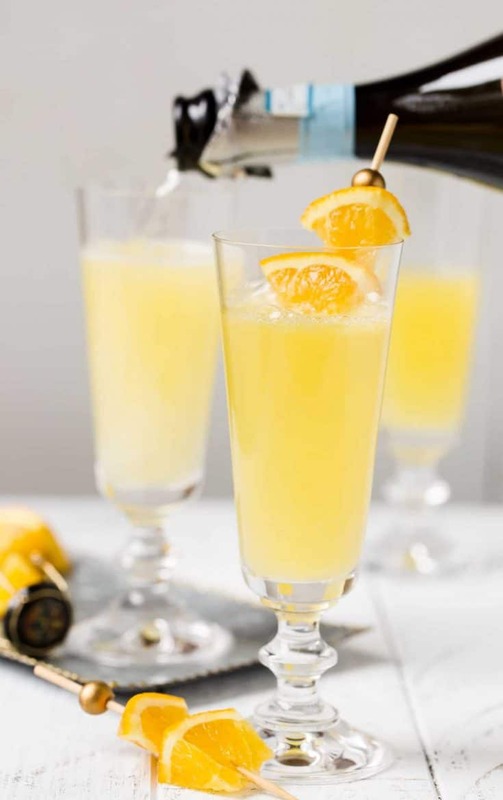 They are good and all, (I mean, we’re talking bubbles, so you really can’t go wrong) but why settle for good when you can add a few more ingredients and get a Grand Orange Mimosa that will knock your socks off? What is the best orange juice for mimosas? What other ingredients do you need to make this Grand Orange Mimosa recipe? Not many. I amped up the orange taste with Grand Marnier, added a little simple syrup and topped it off with my favorite Prosecco. You can use your favorite sparkling wine – just make sure it is on the drier side otherwise your drink will be too sweet. Once you try this tasty cocktail, you’ll never drink a plain mimosa again. It’s easy to make but totally worth a couple of extra steps. Sunday brunch can’t come soon enough. Who’s coming over? Grand Orange Mimosas for everyone. Having a large group for brunch? Set up an Easy DIY Mimosa Bar and let your guests do the work! If you like this Grand Orange Mimosa recipe, you’ll love these other brunch cocktails! Pour juice, simple syrup and Grand Marnier in a champagne flute. Top with Prosecco and serve immediately. You can never go wrong with bubbles! YESSSSSS please! we have been adding Grand Marnier to our margaritas at home lately – SO good. mimosaii are my favorite, I will have to try this one soon! we love the La Marca prosecco too. I was hoping when I saw “Grand” Mimosa you meant my beloved Grand Marnier!! Absolutely brilliant! I love a good mimosa – But this will take them to a whole ‘nother level! Thanks! train on this one. Ha! How many mimosas do you get with each ticket? I might have to buy at least two tickets. I don’t normally talk about ME, but please make note of the slight name change from Wild Goose Tea. New web design too—whoopeeee and am adding some new features. Oooh, can’t wait to check out your new site, Carol! 🙂 Cheers! This is seriously the best sounding drink. Can’t wait to try it! Cheers, Cathy! It’s one of our favorite morning sippers!